"When I came back, I asked my mother, 'by the way where's my umbilical cord?' And then she says, 'you know where it's at,' she said, 'I buried it in the sheep corral.' Ah ha! It brought me home. No matter what you do, the umbilical cord brings you home." The Navajo say that the deities gave them the Churro sheep. Descended from the Spanish Churra sheep introduced in North America by Don Juan de Onate in 1598, this breed of sheep quickly became central to Navajo culture. The sheep were not only a source of meat and wool, but caring for them set the tone and pace of life for the Navajo sheepherder. In addition to daily care and grazing, the sheep must be shorn in the spring, ewes can have lambs up to twice a year, and the sheep have to be moved to follow the change of seasons—up to the mountains in the summer and back down in the winter. In order to be used for weaving, the wool has to be cleaned, processed, and spun into yarn. SEE magazine’s mission is to explore the intersection of arts and social issues. We chose to research this story because of the threat to a traditional way of life for Navajo sheepherders and weavers. We soon discovered a tangled web of related issues involving history, politics, culture, economics, environment, health, education, language, and the arts. We have tried to maintain our focus on the Churro while providing links to relevant information wherever possible. While the history of conflict with indigenous people following the arrival of Europeans is long and complicated, when considering just the past two centuries, the Navajo have experienced major disruptions to their homeland, language, economy, and culture. Starting in 1864 and continuing through 1866, after disputes and skirmishes with the United States military, large numbers of Navajo were subjected to a forced relocation now known as, “The Long Walk.” Although the Navajo were eventually allowed to return to part of their homeland, many disputes continue about their land and associated water and mineral rights. From 1860 until 1978, their children were required to attend boarding schools teaching English only curricula and, as a result, many young people haven’t learned the Navajo language and have difficulty communicating with tribal elders who don’t speak English. 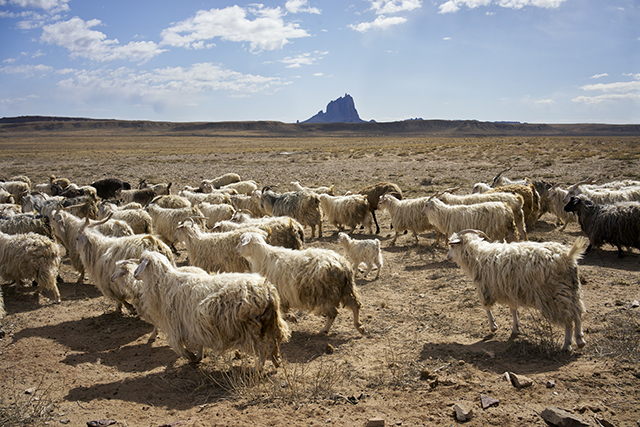 The federal government’s actions in the 1930’s to reduce populations of the Navajo Churro sheep due to concerns about over-grazing proved to be another major cultural and economic disruption for the Navajo. The Navajo Nation (also referred to as the Navajo Reservation) is defined as a “semi-autonomous Native American territory” located in the four corners region of the southwestern United States. Covering over 27,000 square miles, it is slightly larger than the state of West Virginia. 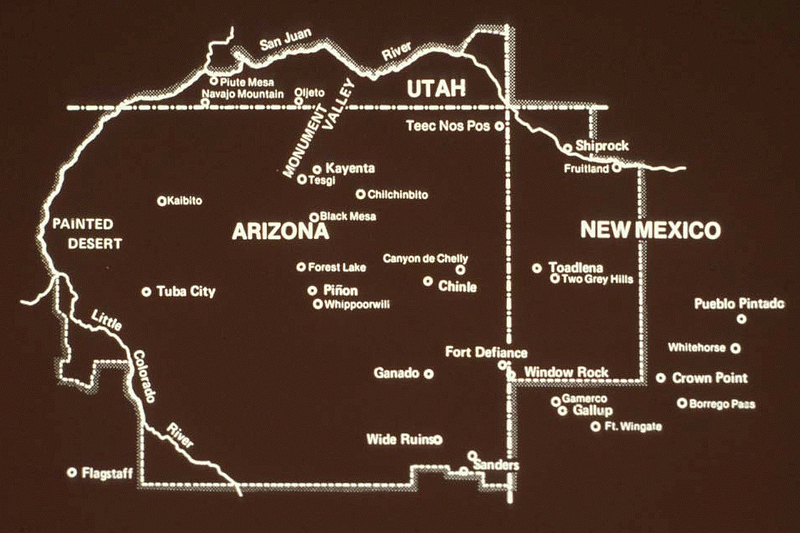 As of 2011, over 300,000 people were registered as members of the Navajo Nation. Current total population living in the Navajo Nation is estimated to be 180,000, of whom 96% are Navajo. Tuba City, with a population of about 8,600, is the largest town on the reservation. By comparison, the total population of West Virginia is about 1,800,000 and the largest city is Charleston with a population of just over 50,000. Additional statistics illustrating the current levels of unemployment, poverty, crime, and substance abuse in the Navajo Nation are daunting. Near the end of a four hour conversation, Majerle Lister, born on the Navajo reservation and recently graduated from Arizona State University, sighed and said, “This isn’t just about the sheep.” Our intention in this issue is to start with the sheep, and follow the thread to present the story in a way that is instructive, engaging, and beautiful. We also hope to motivate others and then guide them in a direction to help effectively. 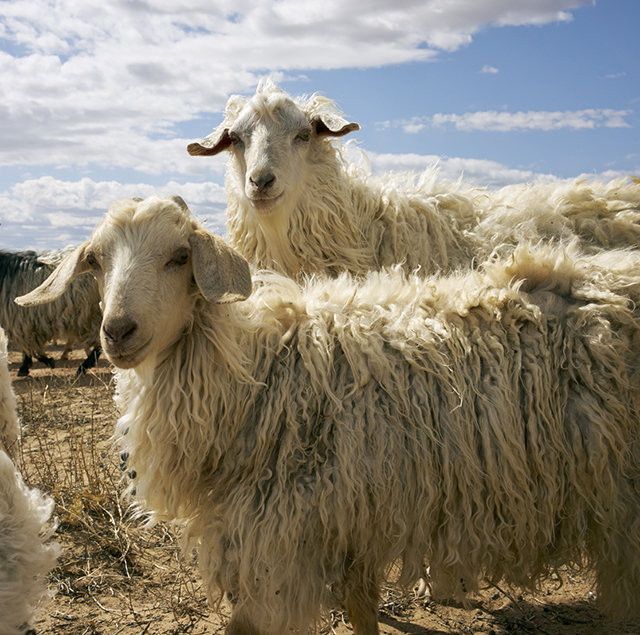 Navajo Lifeways was founded in 1991 as a nonprofit organization dedicated to reviving Navajo traditions related to Churro sheep in a sustainable way. The group provides support and education to sheepherders, as well as outreach to the larger community by way of the annual Sheep is Life Festival. The research for this issue proved to be a long, steep, and sometimes dusty, climb. We are grateful to the many people who gave so generously of their time and knowledge as we worked to bring the story together. We will publish the story in three installments. 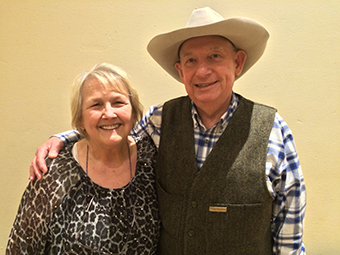 Dr. Lyle McNeal, Carnegie Professor and Sheep, Goat, Wool & Range Specialist at Utah State University and his wife Nancy, an artist and teacher, talked about the role of the Churro sheep in Navajo culture and explained how the federal government’s actions nearly decimated the breed. When he discovered some surviving Churro on a farm in northern California in the 1970’s, he and Nancy were moved to action and founded the Navajo Sheep Project to breed and re-introduce the animal on the Navajo Reservation. 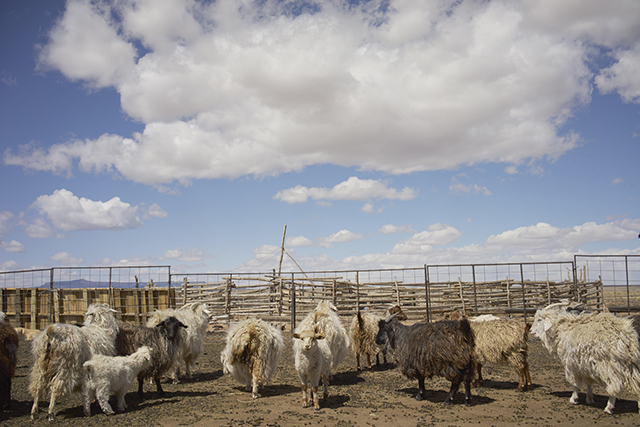 Emily Matyas, photographer and founder of SEE magazine, presents photographs and notes taken during her visits with a family of Navajo sheepherders and weavers. 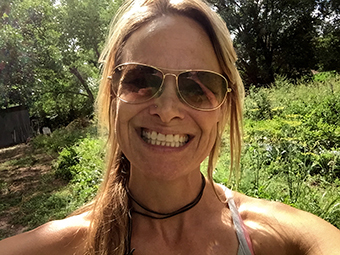 Aimee Swenson, self-described, geographer, artist and shepherdess, is currently at Michigan State University working on her Ph.D. in Community Sustainability. She starts with the Churro and expands the story to look at sheep centered cultures in other parts of the world. Aimee describes how economic and government forces have radically reshaped those communities, often resulting in sheepherding no longer being sustainable. Dinah DeWald, a graduate of Swarthmore College and an environmental activist, told us about her experience as a volunteer, living and working with a family of Navajo sheepherders. 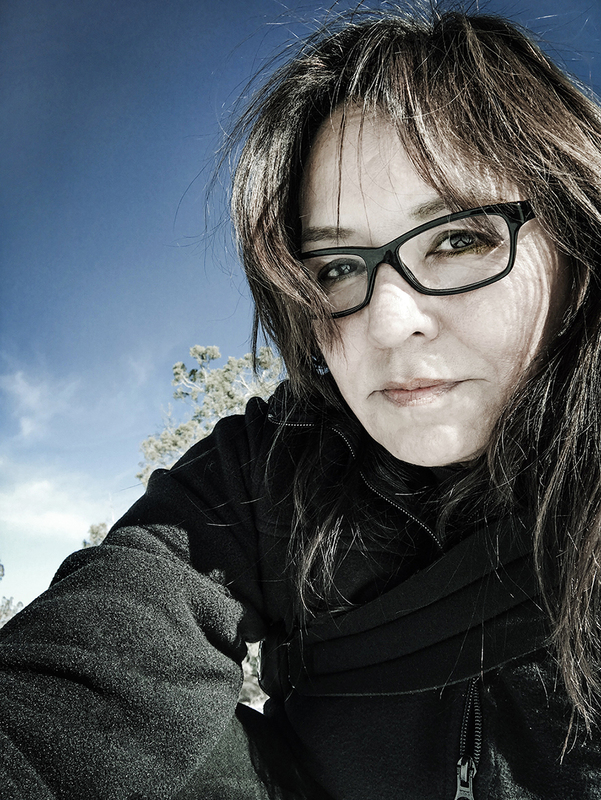 Dr. Laura Tohe, Navajo Poet Laureate and Associate Professor in the ASU English Department, talked with us about writing and her childhood memories of the women weavers in her family. 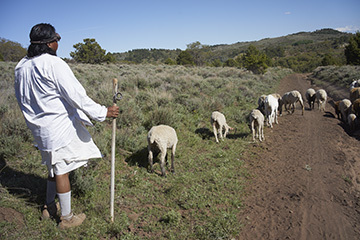 Roy Kady, Navajo artist, activist and teacher, heads a traditional sheepherding trek twice a year. The journey takes place in June and October, traversing 22 miles to bring the sheep back and forth to their summer and winter grazing lands. 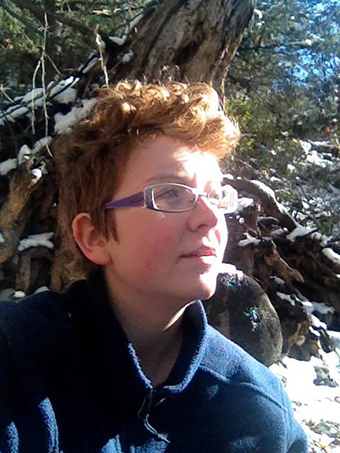 Emily Matyas, SEE co-founder and photographer, joined the trek last summer. 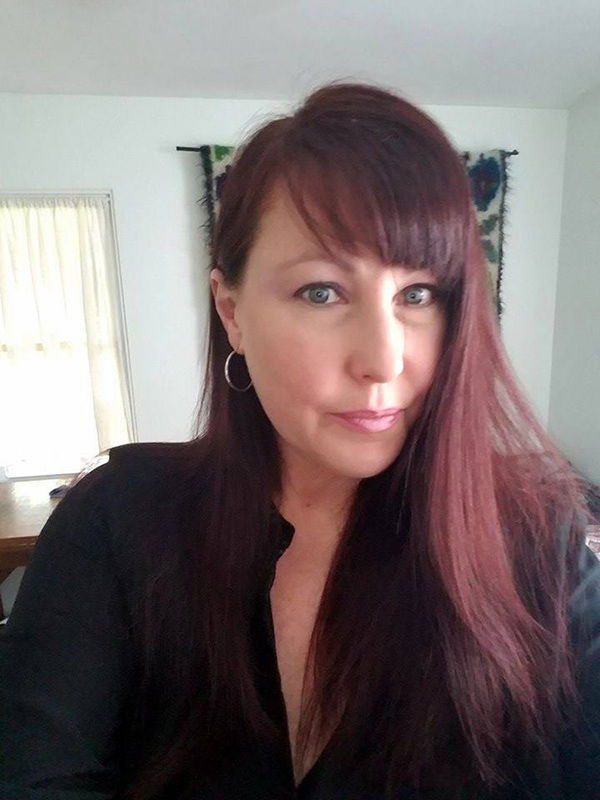 She writes about the Navajo people and stories involved. Chip Thomas is a doctor with the Indian Health Service who has lived and worked on the Navajo Reservation for almost thirty years. He is also a photographer and an activist. 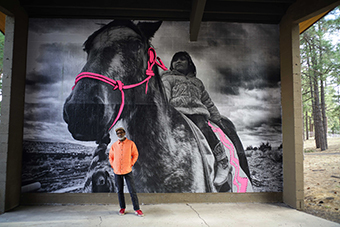 Chip told us how he came to start the Painted Desert Project and thereby discovered a way to merge his medical work and his photography to feed his soul while furthering his commitment to serve. 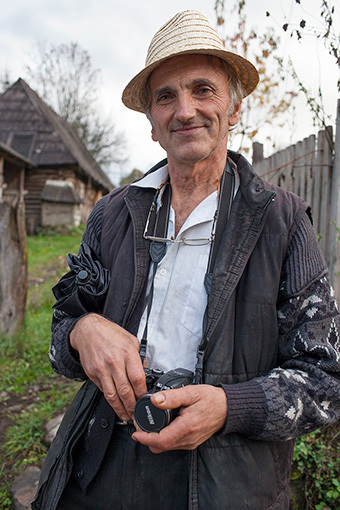 Vasile Oanea, a Romanian farmer and photographer, talks about the role of sheep in his culture along with his photographs. We had a list of Navajo weavers we wanted to find when we attended the Heard Museum’s Indian Market in Phoenix, and we thoroughly enjoyed meeting them and seeing their work. 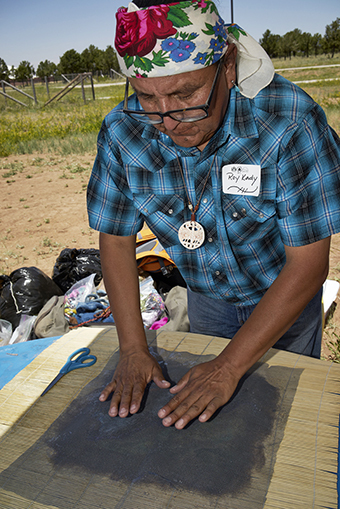 When we located Roy Kady at the festival, he gave us his contact information and invited us to visit him on the Navajo Reservation. So we did. Roy, a sheepherder, weaver, teacher and activist, graciously arranged a full day of visits with sheepherders and weavers while also sharing his perspectives on Navajo history, current challenges, and ideas for moving forward. 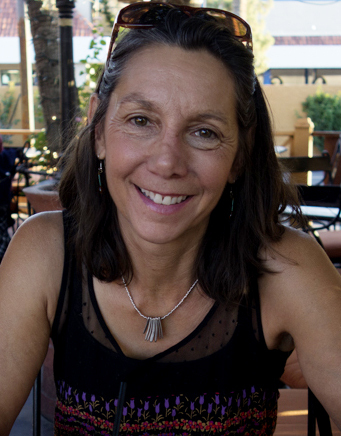 Renée Dennison is Diné and a photographer. She lived several years off the reservation but returned when inspired to pursue a career in photography. Here she shares images of her grandmother who lived a traditional Navajo lifestyle and lived to be 106 years old. Renée is an MFA Candidate in Photography at ASU.